Remember when we did that Find It, Fix It Community Walk in April? Well, we also got a grant to spruce up the Pinehurst Pocket Park. We’ll be planting a bunch more native plants on October 21 and we want to make it a community event. We’ll remind you when the date approaches, but the info is below. 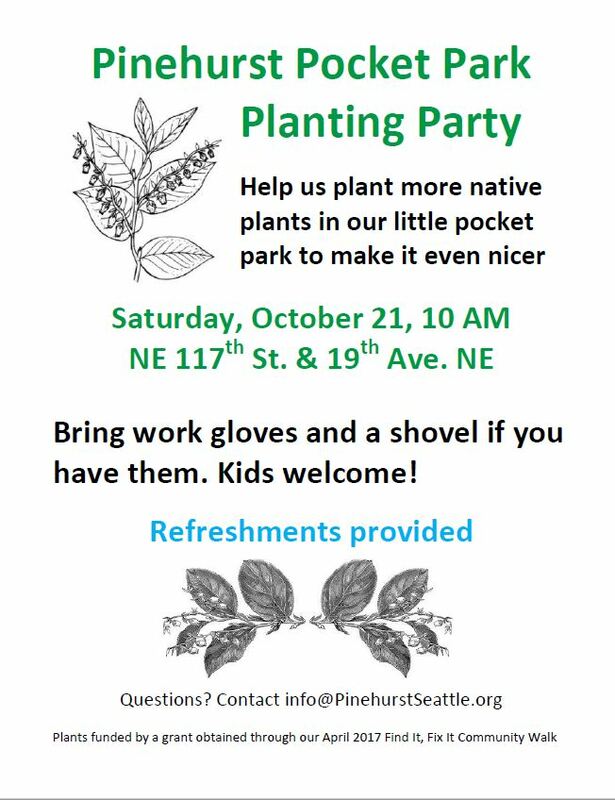 Also, if you’d like to volunteer to bring treats, or would like to put up posters or put flyers on porches near the park a few days before the event, please let us know by emailing info@PinehurstSeattle.org. We would also like someone to photograph the work party and the results of our work.